Posts TIJUANA NIGHTS IS RELEASED! Gosh it’s weird releasing two books within a week of each other! But it happened! Squeeeeeeeee!! Tijuana Nights is on Amazon.com, and the hard copy will soon be available for order on there as well. I can’t believe this book is finally out! I have been waiting and waiting, and working my arse off trying to get this book ready for the world to see, and finally it’s here! 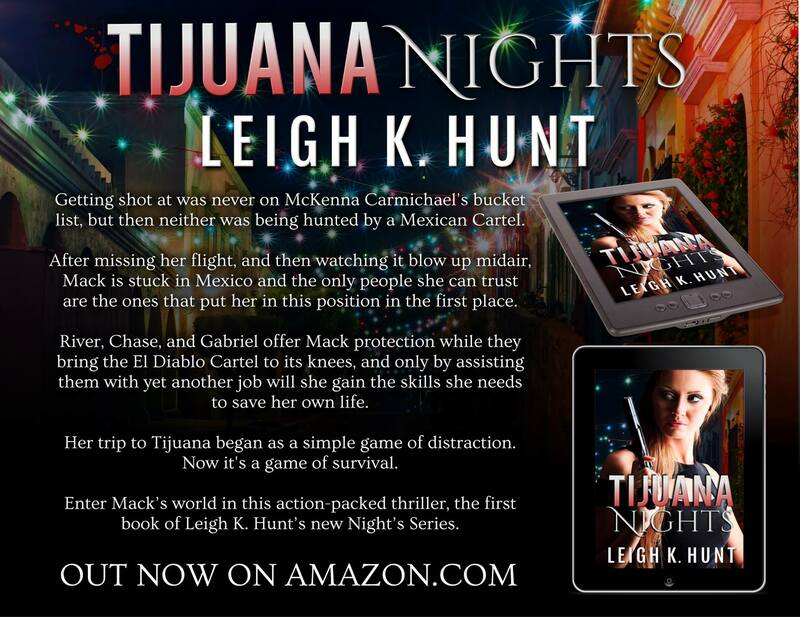 Tijuana Nights was a book that I’ve had in my head for years and years, and when I was writing it and re-planning it – it just really fell into place. I’m super-glad I waited to write it, because that was the absolute right time to get it written. I had such a brilliant time producing this book, and really getting to know and love my characters. I love to write bad people, and delve into their back-stories about why they’re motivated to do some of the things they do. I also love to write about different countries and locations. I love travelling and immersing myself into different cultures – so why wouldn’t I do the same for my characters, right? So if you love good action-thrillers, then pick up a copy of Tijuana Nights. I often describe it as a ‘good girly thriller’, because there is a little romance added into it as well – but I have been assured that it’s a good read for men as well! Fingers crossed. And if you read it? Please tell me what you thought! I’m happy to Skype chat or for anyone to email me. But I would really love to hear your feedback. And if you did love it – please leave a review on both Goodreads and Amazon. Nothing supports an author more than reviews and word of mouth recommendations. Next book? Venice Nights!! Due for release in December! I loved this book! After reading London Dusk, I was keen to see what Mack had got herself into… I really enjoyed seeing her character- and the others – develop… I like the way she grappled with some of her choices and results. Of course life is not going to easy when you’ve taken up company with a bunch of assassins! Happy to recommend this to anyone who enjoys thrillers. Next ArticleLONDON DUSK – FREE – Celebrating 1 Month Book Birthday!